Microsoft is gearing up to expand commercial distribution of its Surface RT and Surface Pro tablets by selling them through new channel partners in the UK and 16 other countries. 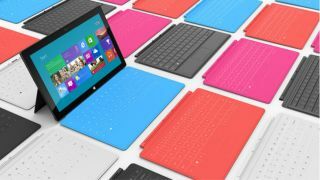 It has confirmed that the tablets will be sold through eight resellers in the UK. They are: CSS Media, Computacenter UK, Insight UK, Kelway UK, Misco UK, Phoenix Software, SCC UK, Softcat, and SoftwareONE UK. Microsoft's channel partners sell to commercial, education and public sector customers, but not consumers or retailers. Other new countries being served are Austria, Belgium, Canada, Denmark, Finland, France, Germany, Ireland, Luxembourg, Netherlands, Norway, Portgual, Spain, Sweden and Switzerland. Microsoft says that businesses can get additional benefits by opting for its Surface tablets through its channel partners, including extended warranty and accidental damage support, in addition to device recycling offers and data protection. In company blogpost in July, Forrester analyst Tithankar Sen wrote that Microsoft should focus on creating an ecosystem of partners made up of distributors and resellers to add value to the Surface. He suggested that this could be achieved by delivering integrated solutions to enterprise customers in a similar manner to how Google and Apple focus on consumers that use their devices for work purposes. Ramping up distribution of Surface tablets through channel partners may be an increasingly attractive option for Microsoft, which took a $900 million charge on unsold tablets during its fourth fiscal quarter due to low consumer interest and reflected poor sales. To make matters worse, the company is currently facing a lawsuit by a US law firm acting on behalf of Microsoft shareholders that alleges it made 'false and misleading' financial statements that failed to reveal the extent of the devices' poor sales, which had a knock-on effect for investors buying stock at a particular time. However, Microsoft is hoping that the impending release of its long awaited Windows 8.1 update on October 17 will have a reinvigorating effect on the two products, particularly the Surface RT model, which has been widely panned since its release almost a year ago.